Whether you’re a keen cardio enthusiast or prefer to hit the weight room, our ALA powder is an ideal complement to your balanced diet. 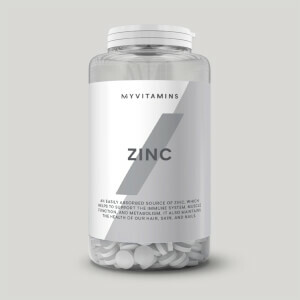 Naturally occurring in cells, you can add to your daily supplement regime to support your goals. When to take 100% Alpha-Lipoc Acid Antioxidant? Add 100mg to water or fruit juice. 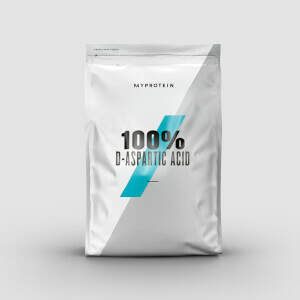 What does 100% Alpha-Lipoc Acid Antioxidant work well with? To make sure you’re also getting the protein you need, combine our ALA with Impact Whey Protein — sourced from high-quality whey, and Europe’s number one best-selling protein powder. "Among its primary function in the body, where it is converted into lipoamide, is to activate enzymes that handle energy producing molecules, such as pyruvate, and to break down products from amino acids. Basically, ALA helps us collect energy and nutrients from the food we eat. The body needs ALA to produce energy. 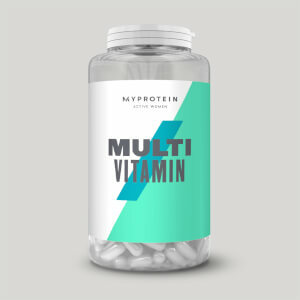 It plays a crucial role in the mitochondria, the energy-producing structures in cells. The body actually makes enough ALA for these basic metabolic functions. This compound acts as an antioxidant, however, only when there is an excess of it and it is in the ""free"" state in the cells. But there is little free ALA circulating in your body, unless you consume supplements or get it injected. Foods contain only tiny amounts of it. What makes ALA special as an antioxidant is its versatility it helps deactivate an unusually wide array of cell-damaging free radicals in many bodily systems. In particular, ALA helps protect the mitochondria and the genetic material, DNA. As we age, mitochondrial function is impaired, and it is theorized that this may be an important contributor to some of the adverse effects of aging. ALA also works closely with vitamin C and E and some other antioxidants, reusing them and thus making them much more effective. As mentioned earlier, ALA plays a large role as an anti-oxidant. It is such a powerful antioxidant that some researches have dubbed it the ""universal antioxidant."" Through studies, ALA has shown that it works in conjunction with vitamins C and E, to help improve their effectiveness in combating free radicals, as mentioned earlier . 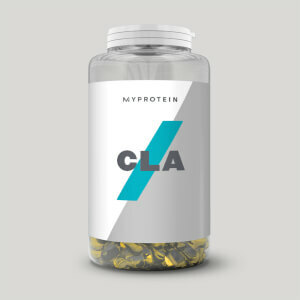 Research has even shown that ALA can actually replace the function of vitamin C in animals deficient in vitamin C . This is especially important to bodybuilders because intense physical activity such as weight training or extreme cardio can cause extreme oxidative damage, letting loose many free radicals in the body. That is why antioxidants, both natural and supplemental, are critical to bodybuilders. When ALA is on its own it can directly neutralize free radicals both in membranes and insides cells because it is both water and fat soluble . This ability to neutralize free radicals is an extremely important benefit of lipoic acid. Yet it is in union with other antioxidants that ALA can really show its strength. ALA can mimic other antioxidants but also improve their performance because it replenishes them . When one antioxidant molecule neutralizes a free radical, it actually turns it into a stable form. Then in a chemical reaction the free radical is eventually passed off to lipoic acid or glutathione molecule, which allows the original antioxidant to regenerate and neutralize more free radicals while ALA washes out the offending free radical . Glutathione, ALA's wingman in this disposal process, is also a critical antioxidant. Alpha Lipoic Acid supplementation has been shown to boost glutathione levels, which drop significantly during periods of exercise induced stress by up to 50% . When large amounts of free alpha-lipoic acid are available, such as with supplementation, alpha-lipoic acid is also able to function as an antioxidant . Alpha-dihydrolipoic acid (DHLA) is the reduced form of alpha-lipoic acid, and is the only form that functions directly as an anti-oxidant. Free alpha lipoic acid is rapidly taken up by cells and reduced to DHLA intracellularly. Because DHLA is also rapidly eliminated from cells, the extent to which its antioxidant effects can be sustained remain unclear. Although only DHLA functions directly as an antioxidant, alpha lipoic acid may have indirect antioxidant effects . ALA also increases intracellular glutathione levels. Glutathione is an important water-soluble antioxidant that is synthesized from the sulfur-containing amino acid cysteine. The availability of cysteine inside a cell determines its rate of glutathione synthesis." What is actually a suggested use per serving and/or daily use? In the red miniscoop (around 1/14 teaspoon)? It may be read in the original powder bag, but I move it to my container and i don't remember how it says in the original powder bag. In the website, it it confusing. They say the suggested use is 100mg, but they also suggest to consume 1g after workout. Does anybody know exactly how much (how many miniscoops) may I consume per serving and per day? Thanks in advance. "It is worth noting that ALA is used for heavy metal poisoning as it binds to metals, if someone is metal toxic without knowing it and they take ALA they will become very sick unless they know what they are doing with it. I take it for this reason on a very specific schedule and dosage. For me it is an essential component of my recovery." Effective product from my extensive reading a great addition to a liver health bundle. Get in caps it is more expensive but this burns however you try to ingest it. "Price effective solution as part of your liver protection bundle, if you can afford it buy the capsules. Best to mix in a drink as it tickles the throat and is quite hard to ingest without coughing." The taste is really unpleasant, I've since switched to caps (4 per day), at first the burning sensation is still present but seemed to disappear after a few days use, proof of how effective these bad boys are can b seen in ur turds, HOLY MOLEY !!! Just started taking after a decent review in Mens Health on Detox. Not commenting on effectiveness. However, it's a nasty swallow. Eating a Jalapeno pepper is the same feeling, it's just that you're not ready for a chilli in the morning with your coffee. The longer the drink the worse the experience, it cuts through everything. I would recommend 100mg in about 2 inches of waters (as if you are taking an Alka Seltzer). Stir in for a few seconds but it never totally dissolves. Then slam back it back like a shot and then chug a protein shake. I have the Total Breakfast every day so a few gulps of than calms the burning gullet down. It's a grim aftertaste and will ruin any drink you put it in. As an aside (after a previous comment) given Cranberry juice is an excellent alkali (hence women use for thrush) I am not sure if you should be mixing this acid with it if the end result is that it is neutralised. Not a scientist but I know the difference between acids and alkilis. Would be interested in an answer though. In short, treat it like an Alka Selzar shot and chug a shake down straight after. It's the only way. The Alpha Lipoic Acid ALA has a burning taste when mixed in a glass of water. I cap it ad just use 600mg for appetite suppression.